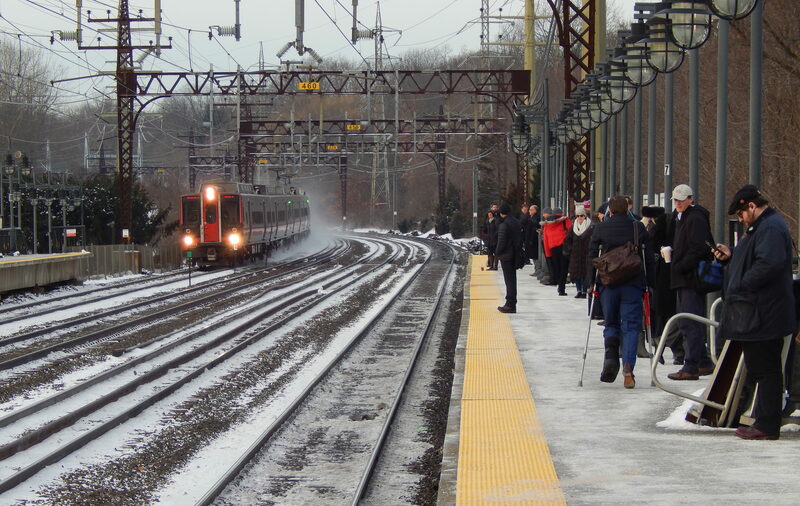 A northbound Metro North train pulls into the Darien train station as commuters wait for the next train into New York on the southbound platform. Connecticut’s cash-starved transportation program would need to scrap some rail services, drive up fares, suspend 40 percent of planned capital projects and defer major highway rebuilds like the Hartford viaduct, to remain solvent over the next five years, Gov. Dannel P. Malloy’s administration has warned Wall Street. And while insolvency isn’t expected for another two and a half years, some cutbacks — including a reduction in Shoreline East rail services — might be necessary as soon as next May, Department of Transportation officials warned. 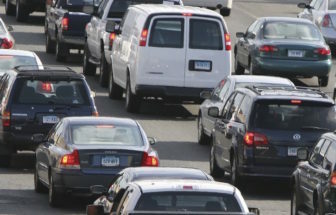 “Without significant new revenue, the only way to balance the STF and operate DOT is to severely cut the operating budget and slash the capital program,” transportation officials wrote last month in a memo to Malloy. The governor, who proposed a 30-year, $100 billion program to rebuild Connecticut’s transportation system in February 2015, has had limited success since then securing resources for the program. Gov. 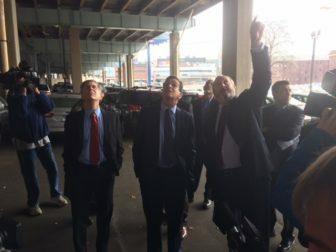 Dannel P. Malloy in 2015 inspecting the I-84 viaduct in Hartford, which he says needs replacement at a cost of billions. If legislators don’t want to raise the revenue to cover those costs, the DOT and the administration say severe cutbacks would be necessary. Deferral of major reconstructions of Interstate 84 including the viaduct — an elevated section of highway — in Hartford and the “Mixmaster” junction of I-84 and Route 8 in Waterbury. The I-84 viaduct in Hartford.